Earlier this week, Mental Health Europe and the University of Kent-Tizard Centre (UK) launched a report on their extensive study on the state of mental health services across Europe (more than 35 countries). 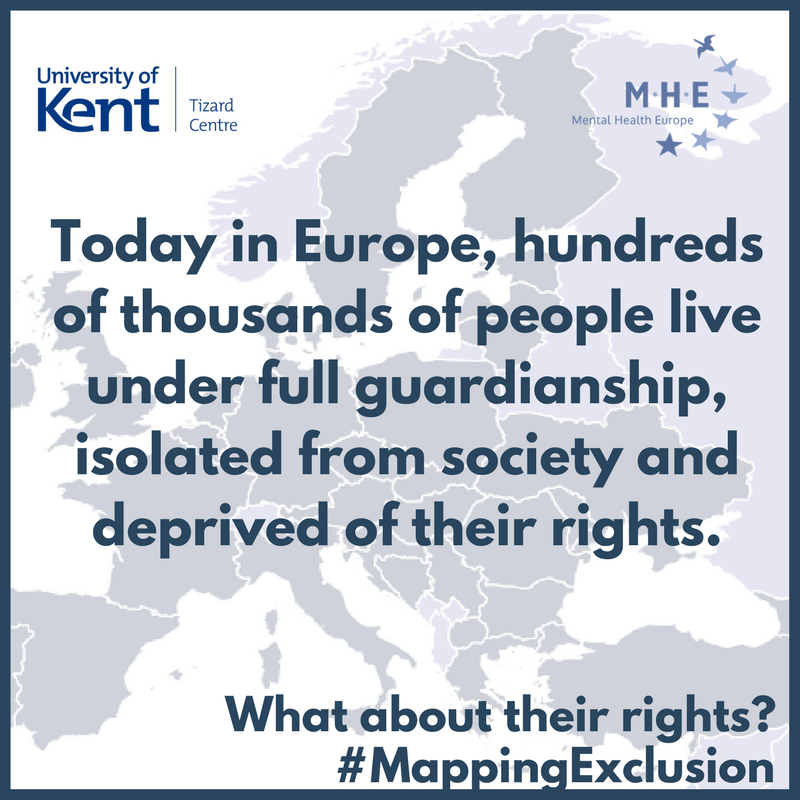 This report, entitled Mapping and Understanding Exclusion. Institutional, coercive and community based services and practices across Europe is an expanded edition of Mental Health Europe’s 2012 Mapping Exclusion report. The study provides exclusive data and testimonies about European mental health systems, ongoing human rights violations, and promising alternatives. The report shows that institutional care, the use of coercion, forced medication, loss of rights and reliance on involuntary hospitalisation of people living with mental ill health are not only a Central and Eastern European problem: countries in Western Europe (including France, Belgium, Ireland, the Netherlands, Portugal, and Germany) still have mental health systems where treatment relies too much on confinement and where tens of thousands of people with mental health problems are still living in closed institutions. “I believe it may have been harder for me to heal from the trauma of the hospitalisation rather than from the mental health issues themselves”, said Sabrina Palumbo, one of the people who was interviewed for the study. Germany, where tens of thousands of people with mental health problems are still living and where little is being done about this situation. In Central and Eastern Europe, the implementation of EU-funded deinstitutionalisation programmes has been slow, and there are limited data about the actual outcomes of these programmes for people with mental health problems. evidence collected in this report shows that the human rights issues facing people with mental health problems and psychosocial disabilities both within and outside of mental health services should still be of great concern.